Nnamdi Asomugha is taking a quick break. There’s a photographer, and the photographer’s assistant is setting up a new orangish background. 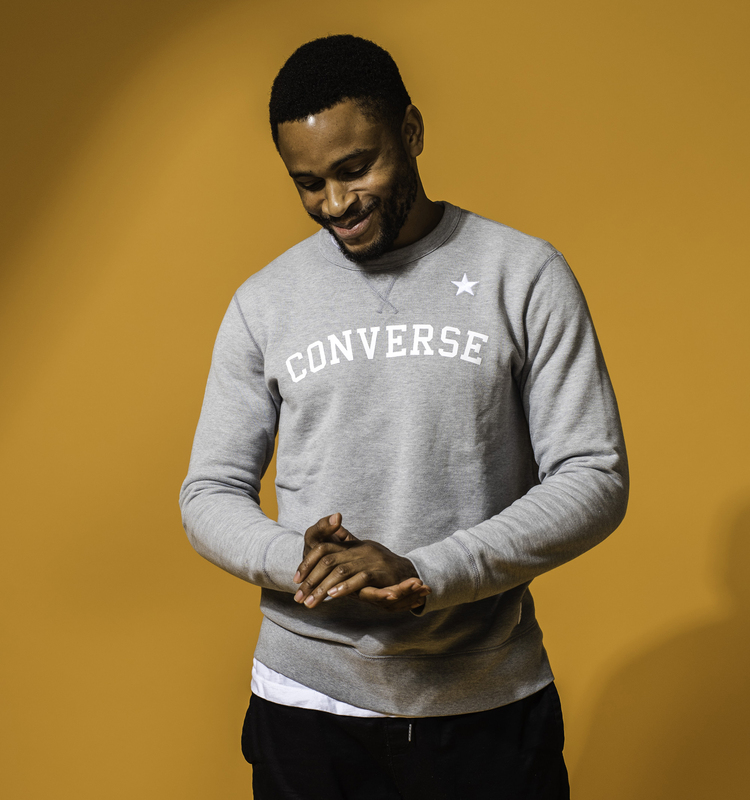 Asomugha, in a gray Converse crewneck and slim-fit black pants, overhears a conversation that’s disdainful of grimy movie theaters and movie theater chains. He jumps in, makes a funny face and shakes his head adamantly in disagreement. Asomugha loves movie theaters. Always has. When he wasn’t on a football field — the former Cal Bear and first-round draft pick spent his first eight National Football League seasons with the Oakland Raiders — he would sneak into theaters and sit there all day, soaking it up, consuming content and daring to dream of something beyond academics and athletics. At the Manhattan photo shoot, the Pro Bowler gives a sly smile. This is a full-circle moment. For 11 seasons, Asomugha was one of the best cornerbacks in the NFL. After his years with the Raiders and stints with the Philadelphia Eagles and the San Francisco 49ers, he walked away from the NFL in 2013 at age 32 via a one-day contract with the Oakland Raiders so that he could officially retire in the city in which he came of age. A true shutdown corner, Asomugha retired with 15 interceptions, 80 passes defensed and two sacks. 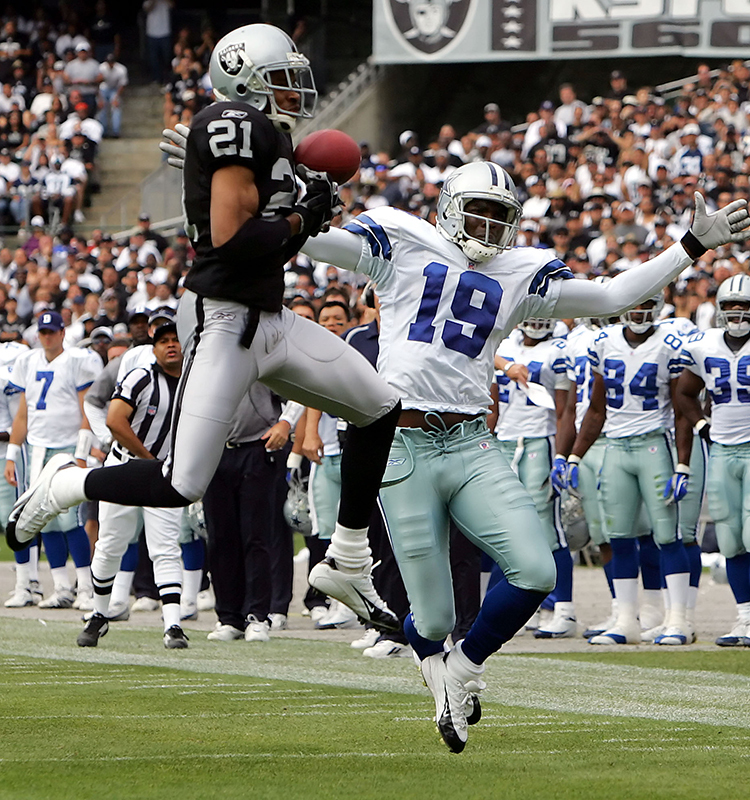 Oakland Raiders’ Nnamdi Asomugha (21) breaks up pass intended for Dallas Cowboys’ Keyshawn Johnson (19). But if you don’t know his name for those reasons, don’t worry, soon you will — and it’ll have absolutely nothing to do with football. Asomugha is an actor. And a producer. And not because he’s indulging an ego-driven post-athletic career fantasy realized through his ability to cut a big enough check and buy his way onto a set. No. 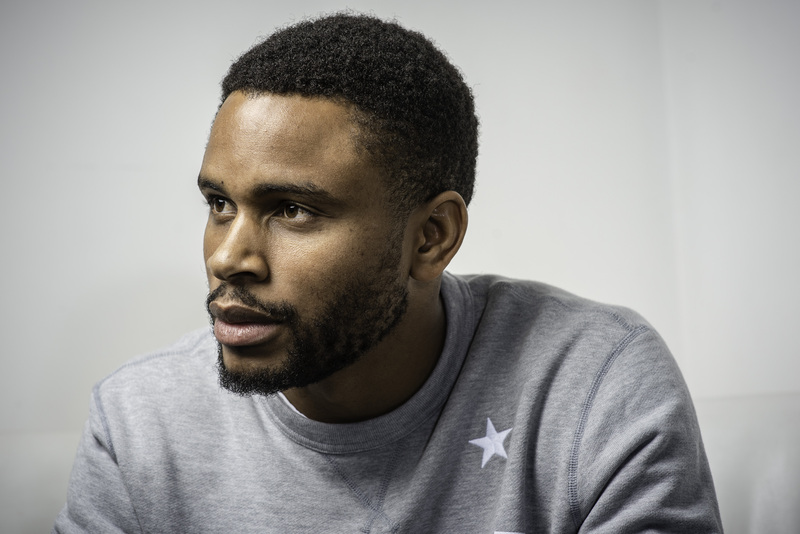 As an actor, Asomugha expertly brings to the screen the story of a man we all should know about — and as a producer, he’s brilliant at finding and financing stories that need to be told. His Crown Heights, which opens in select New York theaters this week and has a wide release next week, is the true story of Colin Warner, a Trinidadian resident of the Brooklyn neighborhood Crown Heights who was wrongly accused and convicted of murder. Warner served 21 years for the crime, while his best friend, played by Asomugha, tirelessly worked to prove his innocence. He also happens to be married to Kerry Washington (Scandal, Cars 3, Confirmation), and like his wife of four years — they have two children, Isabelle and Caleb — Asomugha rarely speaks publicly about their marriage or partnership, preferring instead to focus on the work. And it’s understandable, especially in his case, considering that his ambition to become an actor dates back years — before he married his wife in 2013 even, and years before she became famous. The furthest thing from Asomugha’s mind is attaching himself, and this full deep dive into a new career, to his famous and famously talented wife, who happens to be one of very few black women in Hollywood who can consistently commandeer mainstream magazine covers. Asomugha’s focus is on this second act — and on getting people to see beyond his storied football career. Especially now that he’s doing the thing that ignites him as much as covering wide receivers used to. But the performing arts had to be a quiet passion. Especially once he got older. Football was king. So was basketball. And he played both at Narbonne High School in Harbor City, California. He shifted. Went full throttle into football, leaving the creative arts, and his equally passionate desire to excel in them, behind. It wasn’t until years later in college — he attended and played for the University of California, Berkeley — that he was reminded it was possible to live in and do well in both worlds. Cal Berkeley rid Asomugha of his own boundaries. It was transformative. He loved football, and knew he’d make a career out of it, but he also knew that when football was over, he’d transition into something more creative. And it was football, ironically — even with that early atmosphere of being anti anything that didn’t scream hypermasculinity — that gave Asomugha the confidence to pursue the creative arts. He’s appeared in the Friday Night Lights television series, as well as on The Game and Leverage; he collected his first credit in 2008. For the new Crown Heights, Asomugha didn’t make it easy on himself. He helps tell the real story of Colin Warner. In 1980, Warner was wrongly convicted of murder. 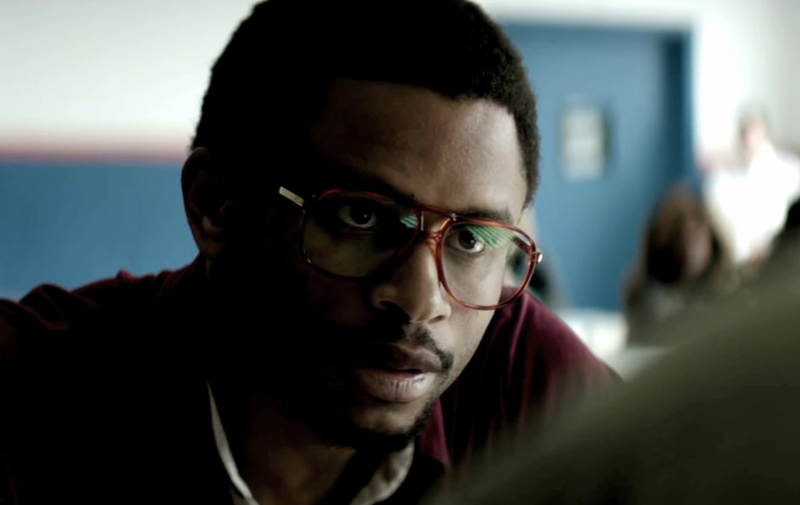 In the film, which is based on a This American Life episode, Asomugha portrays Warner’s best friend Carl King, the man who devoted his life to proving his friend’s innocence, and to getting him out of prison. Lakeith Stanfield portrays Warner, and the film is an important moment for both actors. Stanfield pulls off an emotionally complex role, and Asomugha displays impressive dramatic chops. The film premiered at Sundance earlier this year and was a critical darling and a fan favorite, nabbing the Audience Award. And Asomugha was ready for the moment, good and bad, both as a producer and a co-star of the film. There’s more coming from Asomugha. He’s hell-bent on bringing more stories like Crown Heights, which will be co-distributed by Amazon Studios and IFC, to life. Asomugha’s company, I Am 21, is prepping to shoot the highly anticipated Harriet Tubman biopic. It’ll be an important film: Tony winner Cynthia Erivo is starring, and it tells the story of the former slave-turned-abolitionist who worked tirelessly as an Underground Railroad conductor, nurse and spy. The plan is to start shooting sometime this fall, and Asomugha said the film falls right in line with the mission of I Am 21. And as for the future of his own acting career? He’s been ready. “I’m the type of person that always has a goal of greatness,” he said. “My mindset is, I can take all the chances in the world. I don’t put stress on myself. What I do is enjoy preparation. It’s just who I am.